Experience this sphere powered by the sun! 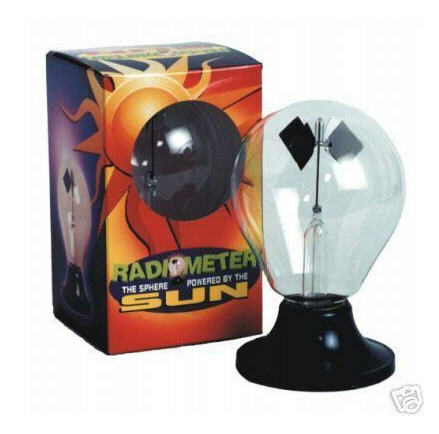 The vanes in the Tedco Radiometer are alternately dark and light in color. When the light strikes these vanes it transfers heat to each one - but not at the same degree. The lighter vane reflects the rays and the darker vane absorbs the rays. The stronger the light, the more energy there is, causing the vanes to spin faster.